Would you agree that our world could use a little bit more kindness? What do you do on a daily basis that makes a positive difference in somebody else’s world? 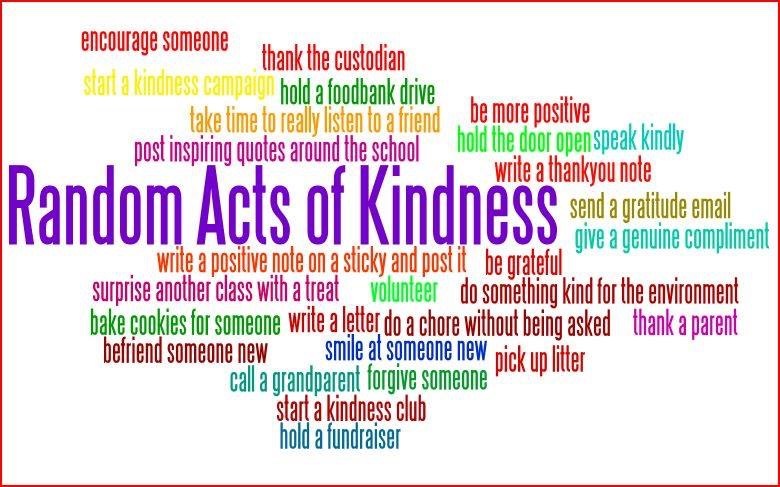 I dare you, do 1 thing a day/a week/a month (whatever you can handle) that could make someone else’s day. Be creative! The list is endless but there is nothing more rewarding than doing something good for another human being, and most of it is free. Now go and act on it!